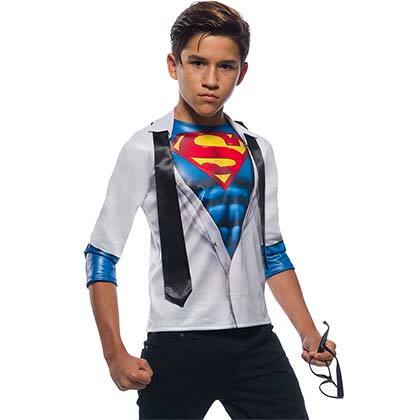 Officially licensed youth Superman costume tee with attached collar and tie. 100% polyester. Officially licensed.